This mobile is too good for people with normal use. You can go for this mobile without any second thought. A really good product. It has some cool features and is within the price. All in all, the Samsung Galaxy J7 Max is a decent phone with a great battery life, new software version and an HD camera with a cool set of features. However, the design and hardware aren’t revolutionary. Decent smartphone in the range of 20k. Gives a whole day battery backup and back camera gives flawless photos. One of the best smartphones by Samsung. Definitely value for money. 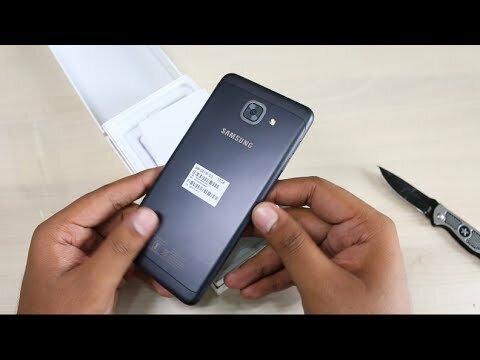 This is an amazing smartphone from Samsung with a great all-round performance. Has amazing cameras both in the rear as well as in the front. Looks quite premium and good to hold. 35 Pricebaba users have written their experience with Samsung Galaxy J7 Max. If you own Samsung Galaxy J7 Max, please do leave your feedback too. Lowest price of Samsung Galaxy J7 Max price in India starts at Rs. 16,500 Samsung Galaxy J7 Max is available on Flipkart at Rs. 16,500. Prices updated on 22nd April 2019. The J series from Samsung, especially the J7 has received good response from the market since it was first launched in 2015. The J7 Max is a device by Samsung which promises an all-round performance. Design-wise, it looks quite premium and is easy to hold. The J7 max comes with a huge 5.7-inch display size which is aimed at enhancing the multi-tasking and entertainment experience of the phone. The display is Full HD with a resolution of 1920x1080 pixels. Samsung Galaxy J7 Max has got the MediaTek Helio P20 chipset clocked at 1.6GHz and comes with 4GB of RAM. Where the processor is quite decent in performance, the 4GB of RAM should show positive results when multitasking. The J7 Max packs in amazing cameras both in the rear as well as in the front. Rear camera consists of a 13MP sensor which is capable of clicking some really good picture in all light conditions. Even the front camera is of 13MP which can click some good selfies and can be used for video calling. To store all the data there is 32GB onboard storage that can be further expanded up to 256GB via a MicroSD card. This device is Reliance JIO compatible as it supports VoLTE plus also has the standards like WiFi, Bluetooth, GPS. And powering all this we have a 3300mAh battery sealed inside the device and should be good enough to last you through the day with moderate usage. Ans: It has a 13MP selfie camera so expect good image quality from the front camera.